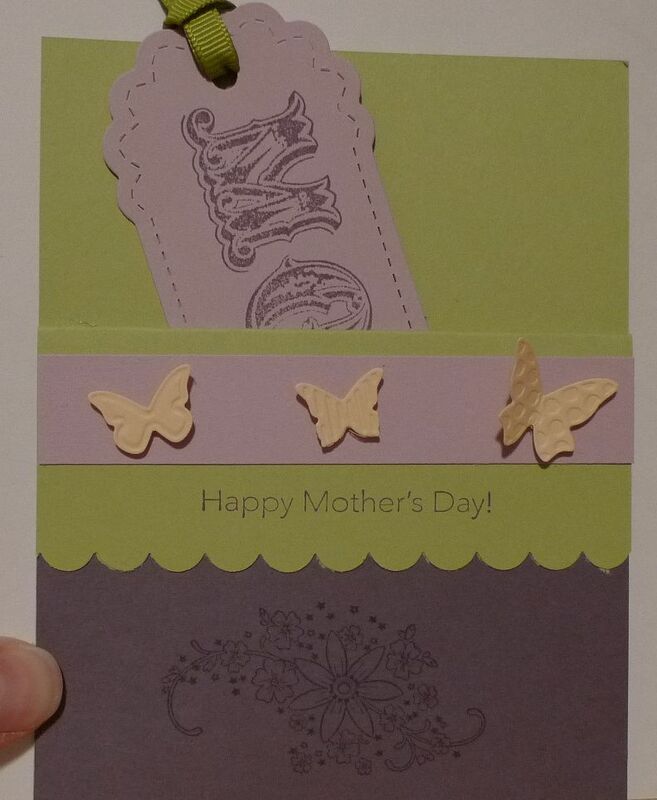 Karina's Kreations: Messages for Mom Card! This is a card I'm making with my daughter's Grade 5 class. We'll be adding a Mother's Day Poem and Tea Bag inside the pocket of the card. I want to thank Pam L. and Tracy M. for helping me with the poem. The ink color is Perfect Plum. Accessories are Scallop Edge Punch, Stampin' Up Two Tags Bigz Die, Stampin'Up Beautiful Wings Embosslits Die, Old Olive 1/4" Grosgrain Ribbon. Stamp Set is Messages for Mom. I hope the class likes this card.